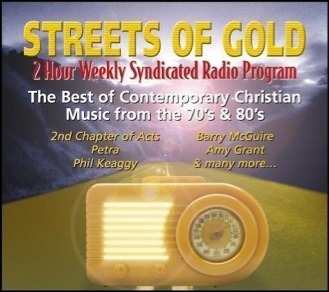 Streets of Gold is a 2 hour syndicated radio program featuring Christian music classics from the 70’s, 80’s and 90’s. Each program is based on a theme; from CCM artists celebrating birthdays during the month; to countdown programs; or a particular subject or word. If you are a station PD that wants to air this unique program, contact us. Looking for a particular artist’s music? Click here. View the “Playlist of Programs” as some have podcasts attached. 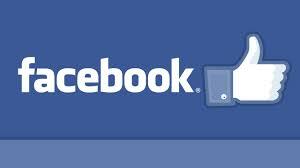 Become our friend on Facebook as we will keep you posted on themes coming up. Just click on the Facebook banner below. Have Streets of Gold’s own Larry Wayne voice some spots for your station or your business. Click his name below for more info and hear some great demos. Mike – I am enjoying your show on crossover artists. It was cool to hear Donna Summer’s song (we grew up listening to her BC (before Christ) music) Also enjoyed the story about the man who got saved and his wife was praying from hundreds of miles away. Keep pumping out the old classics. Phil – This is the best oldies Christian music anywhere. Good evening. This is Mike in Wells Maine. I’ve written to you folks before. I listen on WSEW 88.7 FM. I was surprised to hear you play a song by a man I thought was just a local New Hampshire artist. I had never heard of Bob Ayela until someone gave me a cassette of his music in 2002, and last year I saw him in concert at a small church in NH. He had been retired for I think 10 years and was just starting to play out again. THEN, right after that surprise, you played a song that I learned at a baptist music camp way back in 1983, The Building Block. I had never heard the recorded version of that song and it was fun hearing it again after all these years. Keep cranking out the great tunes! I listen to the Christian radio out of Williamsport, MD Thanks so much! I must say I have listened to Streets of Gold for quite a while through several online radio stations. Today I was able to catch you on Righteous Rock Radio! Your rock program – Stryper, Whiteheart, Bride, Rick Cua, Idle Cure etc. was playing! Loved it! Would love to hear more like this! I have been listening to Streets of Gold since ClassicChristian247.com started airing the program a few weeks ago. So far it’s been great between the theme shows (like People’s & Bible names last week) to the countdowns (like the Top 30 Radio Rock Hits of 1988 on right now). I missed #30 due to an internet issue; could you tell me what it was? Thanks, keep up the awesome music, & God bless the SoG crew (Larry Wayne & ALL)! I often have to miss your program due to work. how do I find the weekly programs and listen online?